In search of a new favorite Spanish spot? Hoodline crunched the numbers to find the top Spanish restaurants around Chicago, using both Yelp data and our own secret sauce to produce a ranked list of where to venture when cravings strike. Topping the list is Lincoln Park's Cafe Ba-Ba-Reeba, situated at 2024 N. Halsted St. (between Armitage and Dickens avenues). With four stars out of 3,366 reviews on Yelp, the Spanish small-plates spot has proven to be a local favorite. According to its website, the menu consists of "tapas, pintxos (bite-sized appetizers from northern Spain) and the classic Valencian rice dish, paella -- all designed to share." Specialties include spicy potatoes, bacon-wrapped dates and baked goat cheese. 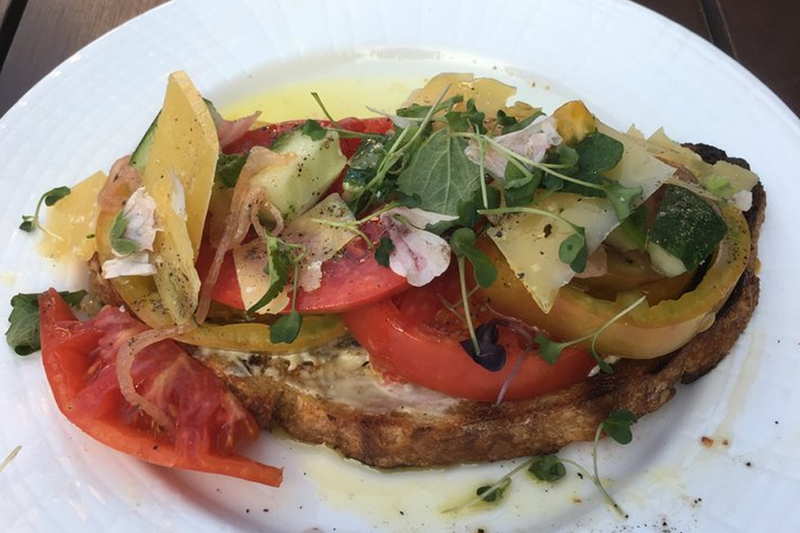 The Loop's Mercat a la Planxa, located at 638 S. Michigan Ave. (between Balbo Avenue and Harrison Street), is another top choice, with Yelpers giving the Spanish small-plates spot four stars out of 1,315 reviews. According to its website, visitors can expect a decor that mirrors a Barcelona market, with "bright, rich fabrics and weathered mosaic tiles, accented by dynamic sculptural furniture and distinctive art murals." Mercat's menu emphasizes the Catalonian region with dishes like Spanish potato salad featuring Ortiz tuna, crispy shallots served in a malanga root shell and topped with mayonnaise foam, and cannelloni filled with short rib, farm-raised chicken, foie-gras and creamy truffle bechamel. 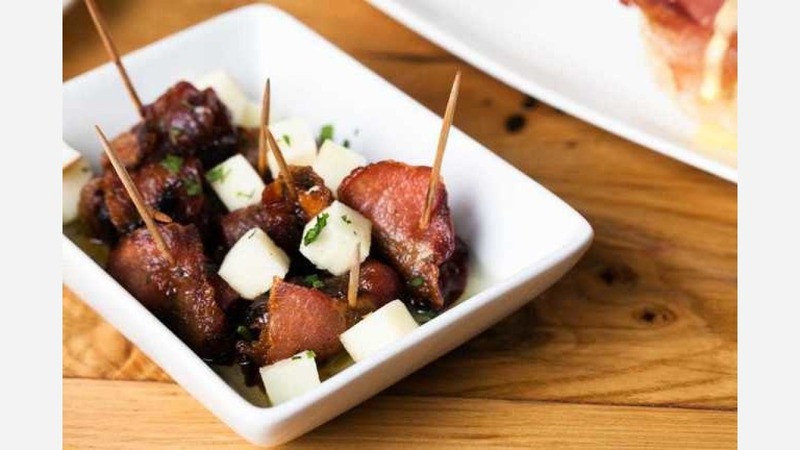 Tapas Valencia, a Spanish spot that offers tapas and more in Dearborn Park, is another go-to, with four stars out of 519 Yelp reviews. Look for an interior decorated with "multicolored mosaic artwork reminiscent of the art of the great Spanish artists Joan Miro and Antoni Gaudi," per its website. 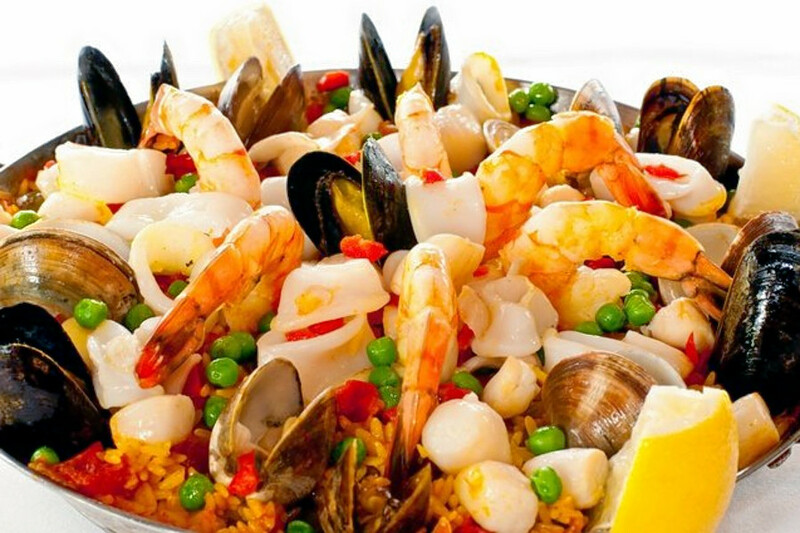 The restaurant emphasizes its paella, a saffron-infused rice dish, offered three ways: vegetarian, mariscos (seafood) and Valenciana (chicken, shrimp, mussels and clams). Lobster tail can also be added to the paella. Head over to 1530 S. State St. to see for yourself. Finally, there's Salero, a West Loop Gate favorite with four stars out of 235 reviews. 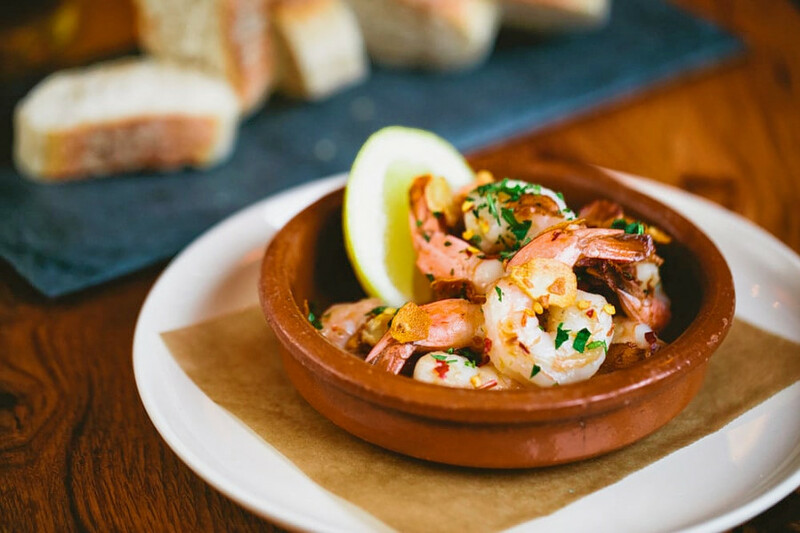 Stop by 621 W. Randolph St. (between Desplaines and Jefferson streets) to hit up the tapas bar and Spanish spot, which offers seafood and more, next time you're in the mood. 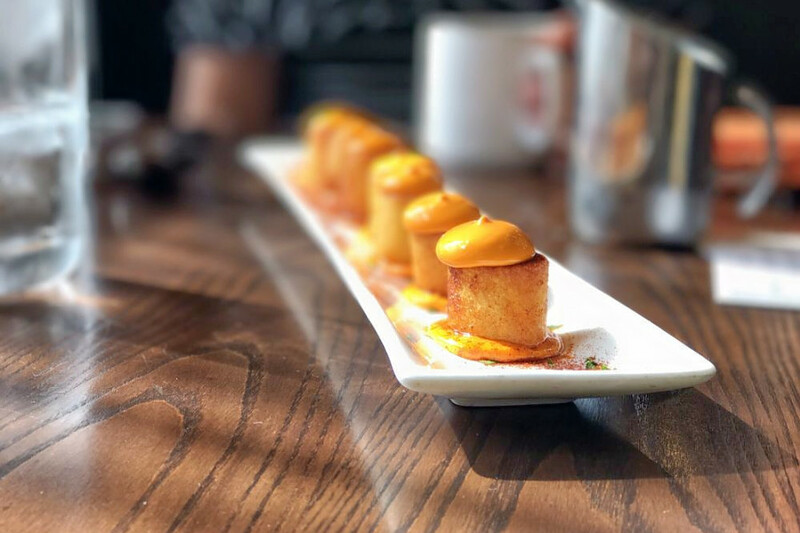 According to its website, Salero offers an "upscale, yet casual dining experience devoted to the flavors of Spain, specifically the Basque region." Look for pintxos -- the Basque region's equivalent to tapas -- including an oxtail-stuffed piquillo pepper. Other dishes include octopus a la plancha, chorizo-stuffed quail and whole grilled lobster.